In May 1860 Thomas Pascoe transferred 1 acre of his land to Trustees of the Wesleyan Church for a Chapel and cemetery. 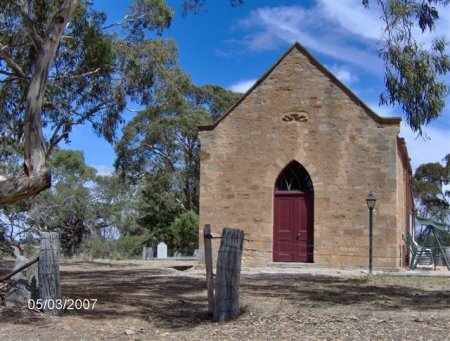 The chapel was built in that year but burials seem to have commenced in 1868 The cemetery appears to be in recent use. 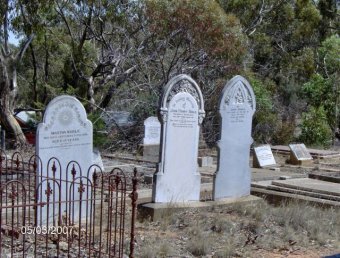 It is located on Hubbe Road about 4 kms north of Clare. 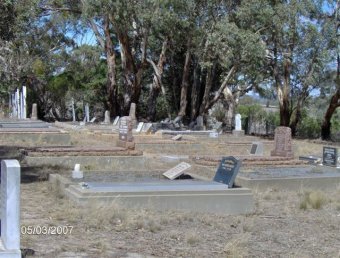 The Clare Regional History Group have a list of headstones, the burial register, and a cemetery plan.